The first installment for the State Disaster Response Fund (SDRF) of Andhra Pradesh as its share for 2018-19 was released in June 2018. Andhra Pradesh faced cyclonic storm 'Titli' on October 11 and its two districts were severely affected. The Centre has approved Rs 229 crore for the State Disaster Response Fund (SDRF) of Andhra Pradesh as its share for 2018-19, the Home Ministry said today. Home Minister Rajnath Singh has approved the release of the second installment of central share of SDRF amounting to Rs 229.05 crore in advance to help Andhra Pradesh in providing relief measures to the disaster-affected people. Further assistance will be provided from the National Disaster Response Fund based on the report of the Inter-Ministerial Central Team (IMCT), according to a Home Ministry release. The first installment was released to Andhra Pradesh in June 2018. Andhra Pradesh faced cyclonic storm 'Titli' on October 11 and its two districts -- Srikakulam and Vizianagaram -- were severely affected. Based on a preliminary memorandum submitted by the Andhra Pradesh government for additional assistance, the central government constituted an IMCT on October 22. The IMCT visited the affected areas in the state from October 24 to 26. 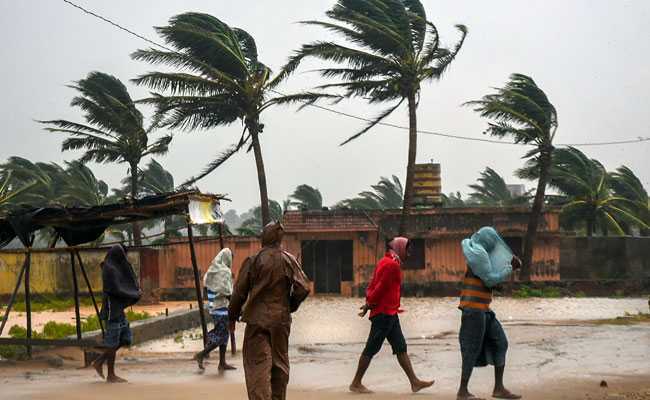 The central government has provided full support to the Andhra Pradesh government by mobilising timely logistical resources to supplement the efforts of the state government to deal with the situation effectively in the wake of cyclone 'Titli', the release said. The logistical support provided includes deployment of adequate teams of the National Disaster Response Force, Indian Air Force and Coast Guard helicopters, Navy and Coast Guard personnel along with necessary rescue equipment, it said.